They also have Bath Tea and Infuser but we don't have them in India yet. 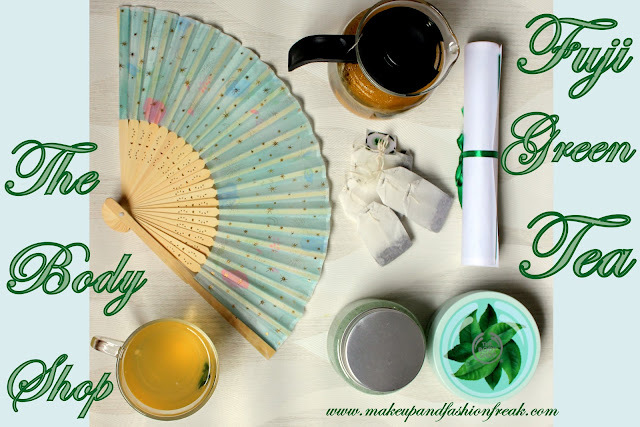 I was really excited to receive this Gorgeous Hamper from The Body Shop which consisted of Fuji Green Tea Body Scrub, Body Butter, Tea Bags, Tea Kettle, a Cup and a Fan. The first thing that caught my eyes and I really loved about this Body Scrub was its packaging. Its very different from the regular Body Scrubs. It comes in a transparent plastic tub with a tin screw top and it looks really pretty. Second thing I love about this scrub is its fragrance. 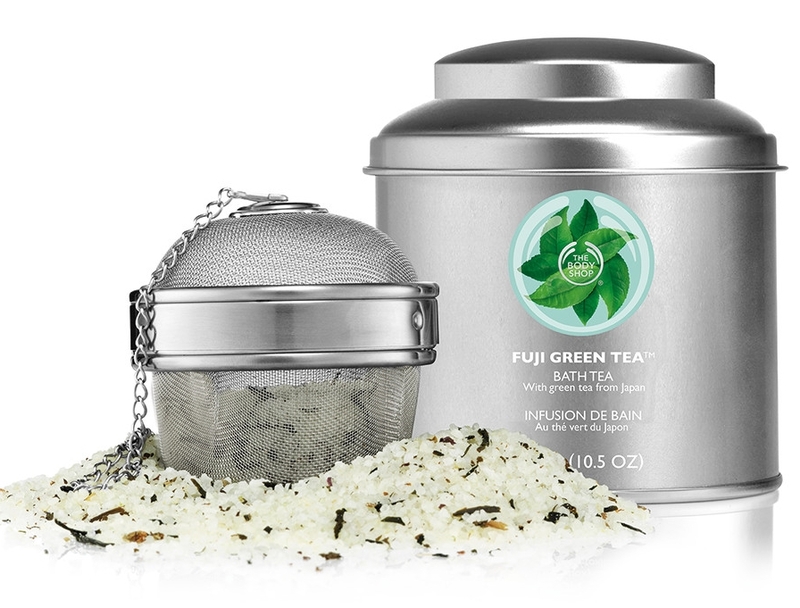 Its got a very refreshing and sweet smell, nothing like Green Tea though, which stays around for quite sometime. The gel-like-texture has tiny white and green beads and looks beautiful. The scrub does not foam and is very gentle on skin. The only thing that disappoints me is, it does not do much for my skin. It is too gentle to exfoliate my skin well. Also it is a little expensive. I think it can be used as a gentle everyday cleanser. I am just in love with this Body Butter. It smells exactly like the body scrub and is light green in color. The texture is not so heavy, like the regular body butters. Its quite light and gets absorbed quickly.